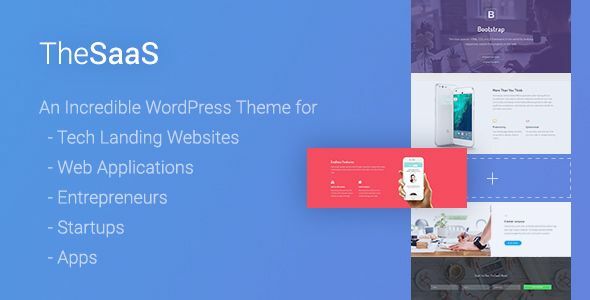 TheSaaS is a responsive, professional, and multipurpose SaaS, Software, Startup and WebApp landing theme powered by Bootstrap 4. TheSaaS is a powerful and super flexible tool, which suits best for any kind of landing pages. TheSaaS is definitely a great kick starter for your web project.